Even though my school mainly uses iPads, we still have a suite of ChromeOS devices in our library. There are 10 Chromebases (the iMac version) for students to use, and then we have a Chromebox for our librarian to use to check books in and out (she has a MacBook Air as well). We’ve had this computer in there for the past four years, and I have not touched it since it was installed. ChromeOS auto updates, it’s easy to manage remotely (not that I did much), and never once gave us a problem. Last week, it started shutting down randomly on us, so I decided it was time to replace it. I got on Amazon, found a similar model, and I ordered it. I then emailed one of my vendors so I could add the management license to it. The process of replacing the machine was a breeze. I unplugged the old one, plugged in the new one, enrolled it in our management system by logging into a managed account, and then it restored everything like it was before. If anything, Google has nailed the web terminal experience. If you need a device to access your current web apps inexpensively, you’d be hard pressed to find a better machine. A lot of schools are pondering iPad vs Chromebook for upcoming technology refreshes, so I have been thinking about what the next decade of computing in enterprise/education looks like. When you look at devices like iPad and Chromebook, they seem to be on very different paths. On the one hand, iPad seems like the future of computing, but on the other side, ChromeOS uniquely fits into a model of a low-cost device that can access everything on the web. The iPad is extremely portable, ditches some of the worst problems of legacy computing, and is very flexible in its use cases. However, iPad hasn’t addressed all of the legacy problems that ChromeOS has. On the other hand, ChromeOS is mostly trying to be just a PC with a browser in a low-cost box. Is it driving the future of computing forward? ChromeOS, at the moment, is considered a “low-cost” device. The truth is that almost no one would pick it unless they want a low-cost device or if it was assigned to them at work. Compared to a product like the Mac, there is no doubt in my mind that Chromebooks are primarily successful because of 1. Price and 2. Simplicity. Without the low cost, they wouldn’t be considered by most people. For the mass market, there is no way to sell a Chromebook at a premium price. If you are going to pay $1k for a Chromebook, you will end up buying a PC or a Mac. I was on the phone with Dean Hager, CEO of Jamf last week talking about some of his predictions for 2019, and he sees a lot of growth still to come for macOS in the enterprise. Dean also made another comment that I found interesting. He mentioned he’d bet his paycheck that of all of the Windows and Android users in the enterprise, over 50% of them were assigned the devices by IT. He also said that of all of Mac and iPad users in the enterprise, over 50% of them were chosen by the user. I’d never thought about that, but it makes sense to me. I say all of this to say, I think there will always be a market for premium products in the enterprise (and in the home), and Apple is well positioned for the next few years. Outside of K–12, ChromeOS is a small % of users. If ChromeOS is a threat to anyone, it’s companies who make low-cost PCs for the enterprise. There’s no doubt that web services are taking over everything in the enterprise (Salesforce, Office 365, Basecamp, etc.). For companies who are looking at the lowest overall cost, a Chromebook becomes much more attractive than a PC. For companies who are buying Macs today, I see them continuing that trend because that is what their users have come to expect, and those users have become very comfortable with macOS. One thing that I don’t think gets mentioned enough about the iPad is how it is useful in places where traditional computing devices make sense. For people in the medical profession, for retail work, for people at job sites – the iPad has been transformative. It’s a computer that goes where no previous computer could easily go. On the other hand, I don’t think that in fifteen years, Apple will still be selling Macs and iPads. I do feel like a convergence will happen at some point. Apple’s strength is they’ve already defined a computing device for the next fifteen years. The iPad has to work backward to fill in some legacy gaps, but it’s got a lot easier job ahead of it than Google does. Google is building technology for the enterprise and education markets of today, where Apple is thinking about fifteen years from now. From my perspective, Apple is playing chess where everyone else is playing checkers. 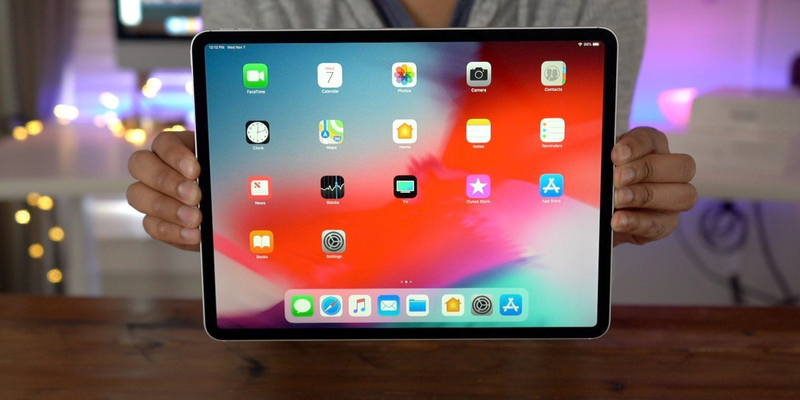 As long as Apple can push the iPad forward while also filling in legacy gaps and workflows, they’ll be well suited to continue to grow in the enterprise. The shift towards IT departments giving users more choice, and considering their technology devices an employee benefit (rather than just a tool) will continue the trend. iPad vs Chromebook will continue to be an interesting battle to watch.